One of our longstanding family traditions is that I make keepsake Christmas ornaments every year out of polymer clay. I made the one above for my sister, a huge Peanuts fan, in honor of the 50th anniversary of A Charlie Brown Christmas. 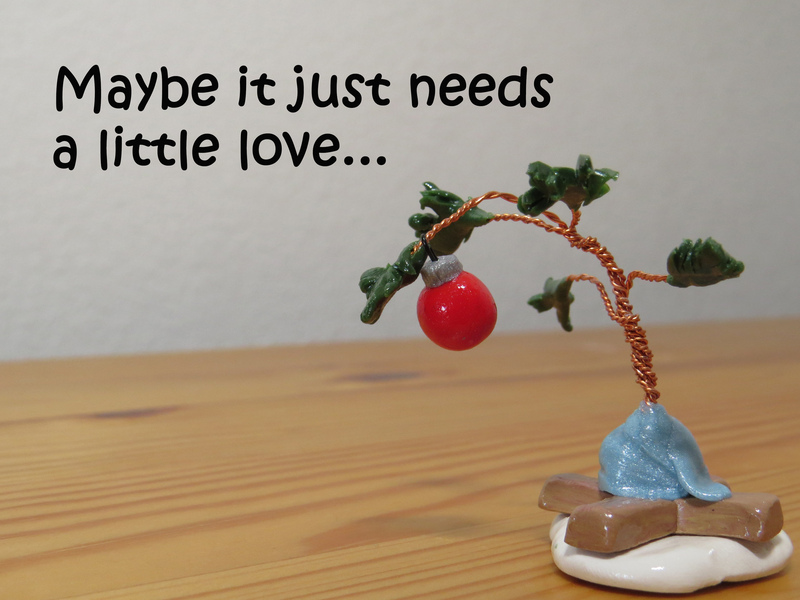 Today, I offer just this thought: what Linus says about Charlie Brown’s sad little tree could just as well apply to us. We may wish in some ways to be as glitzy and well-decorated as our culture demands, but on our own, we are simply not up to bearing the weight of glory. Let’s remember this as we head into the new year: in Jesus we have received from God much, much more than just a little love.